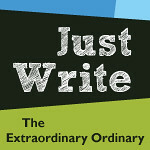 Embrace This Day: Good for you and the environment: My first giveaway! Good for you and the environment: My first giveaway! A few years ago I started becoming more aware of the ingredients of many products and foods and how they were unecessary to the true function of the product and how they are potentially dangerous to our bodies and the environment. In some ways it began when I read the book Curly Girl sometime in 2006. (A GREAT book if you or your kids have curly hair). I learned that many chemicals in the hair products I was using were actually harmful to my hair and didn't help control the curl and actually created frizz. I was really surprised to learn that the sulfates, the main ingredient in most soaps and shampoos that make the "sud" is actually quite drying. I've since tried to purchase shampoo's and body cleansers that are soap-free. They clean just the same. Both Miss Rose and Gracie had bad eczema on their bodies as babies. By around 18 months, they seemed to grow out of it. I've been using soap-free wash on Lily from the time she was born and so far--no eczema. It's hard to say what the factors are, but I can't help but wonder if not using sulfates on her skin (and only getting 2-3 baths a week) play a part. I am trying to make the jump to mineral makeup. I just need to find the right brand and color to go with my skin. I've had to make one return and am actually going out tonight to pick something else up so that I can wear some sort of foundation to church tomorrow! 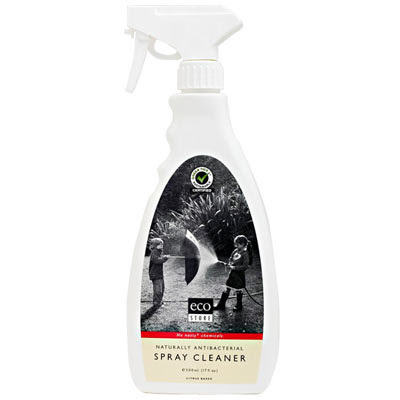 Ecostore USA has products that not only are GOOD for our skin and safe cleaners for the home, but they are also GREEN! I love that their company tagline is "no nasty chemicals." They have baby and body products, hair products, household cleaners and pet care. I'll have to remember that when Bean comes through with his "dog for Christmas" promise to the girls. I'm currently using the Natural Citrus Spray Cleaner. It definately has a more pleasant odor than your normal all-purpose cleaning sprays. It's great to know there is nothing harmful that can be inhaled by my little girls. And I am totally comfortable having Miss Rose do some cleaning herself. Guess what, for leaving a comment here, you can win the Vanilla Soap, great to cleanse your body, even if you have sensitive skin. I've inhaled the scent through the box, and I think you will smell so yummy after using it. Leave a comment with what item you would most like to try from eco STORE or share your own tips for being more green or less harmful products for your family. One comment per person please and I'll choose a winner after noon (pacific time) on Thursday! Thanks eco STORE USA for the opportunity to try your products and for being my first giveaway! How fun! I would love to try the Aloe Vera Shampoo and the Baby Shampoo. This looks like a great store - thanks for sharing about it. After reading this little blog about these all natural products it really sparked an interest. As a father and someone who cleans a lot on a day to day basis (not necessarily at home) I am constantly getting sick of smelling these harmful chemicals. As a HAZMAT Technician I am always trying to be aware of what I am using not just to clean but through out the day. Things that most people wouldn't even think of are pretty harmful to humans, and animals. Not to mention the combination of chemicals. And believe it or not we have many harmful chemicals through out our houses. I am all for the all purpose cleaner. Looking at the ingrediants I would only be worried about the ethanol. Knowing the chemical characterists and the reactivity it tells me not to store in a hot area or near an open flame, but I guess you could always read more about this product. It might have just a small amount used to get the stickyness of a substance off of a surface. But all that technical stuff aside. These products look pretty interesting. I would give them a shot. The price even competes with supermarket prices. Awesome Corrina!!! Did they sponsor this giveaway?! I would love to try the soap. 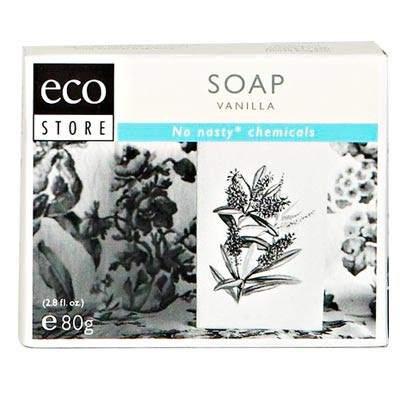 I have very sensitive skin but love the smell of vanilla! When I go to wash my dishes I have a large plastic pitcher that I fill up with water as I am waiting for the water to get hot. I then use it to water our plants or our lawn. I also have a garden so that we have home grown fruits and vegetables. Oooh, I liked the book Curly Girl too! I have straight hair, but I have a couple curly daughters. Being green/less harmful... I plan to start washing the floors with vinegar, but when buying products, I found Method cleaners to work (and smell) great! I would like to try vinegar because I want to cut down the number of chemicals my kids are exposed to on their hands and feet every day.